Third Row Seat, Quad Bucket Seats Rear Spoiler, Onboard Communications System, Aluminum Wheels, Privacy Glass, Keyless Entry. LPO, GMC INTERIOR PROTECTION PACKAGE includes (VAV) first and second row all-weather floor mats, LPO, (VKN) third row all-weather floor mats, LPO and (VLI) all-weather rear cargo mat, LPO. AUDIO SYSTEM, COLOR TOUCH RADIO WITH INTELLILINK AM/FM/SiriusXM radio with CD player, 6.5" diagonal touch-screen display, USB port and auxiliary input jack (STD), 3.6L SIDI V6 (281 hp [210 kW] @ 6300 rpm, 266 lb-ft of torque @ 3400 rpm [359.1 N-m]) (STD), 6-SPEED AUTOMATIC (STD). GMC SLE with EBONY TWILIGHT METALLIC exterior and EBONY interior features a V6 Cylinder Engine with 281 HP at 6300 RPM*. 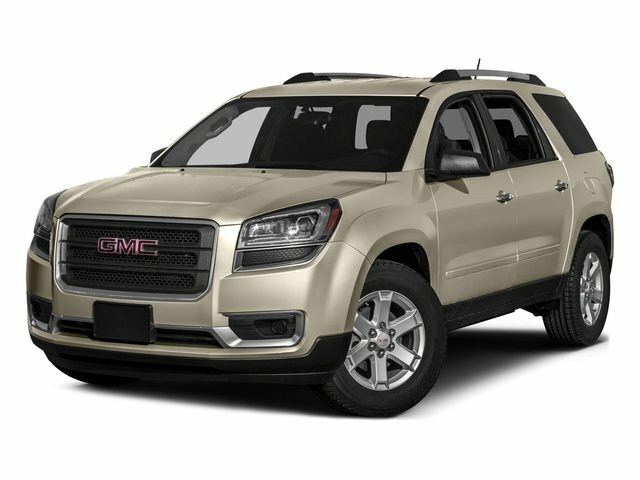 This Acadia is priced $2,100 below NADA Retail.